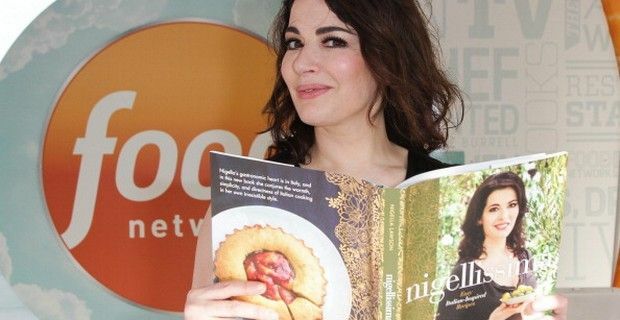 Celebrity chef Nigella Lawson — whose shocking pictures of husband Charles Saatchi publicly choking her last June resulted in a divorce – has been accused of being a long time drug addict. The allegations on Lawson emerged during the pre-court trial hearing of Francesca and Eisabetta Grillo, who were personal assistants to the celebrity couple, prior to being arrested in August 2012. The two Italian sisters are on trial for fraud and are being accused of spending more than £300,000 on clothes and travel using credit cards supplied by Saatchi and Lawson. The allegations that the 53-year old Lawson has been taking cocaine, cannabis and prescription pills for more than a decade, came out during a pre-trial motion by the defense team who are claiming there had been an “understanding” between Lawson and the sisters that they could use the credit cards in turn for keeping secret her illicit drug use from Saatchi. The Grilli’s lawyers used Lawson’s alleged drug use as ‘bad character evidence’ to undermine her as a prosecution witness. The allegations were made admissible by the court judge after a scathing email - intercepted by the police - that Saatchi sent to his former wife was read in court. Mr Saatchi described Nigella as "Higella" claimed Lawson was “so off [her] head on drugs” that she failed to monitor their spending patterns. He wrote: "Of course now the Grillos will get off on the basis that you [and] Mimi were so off your head on drugs you allowed the sisters to spend whatever they liked … and yes I believe every word they have said." However in another witness statement, Saatchi reported to the police that he had not intended to say he thought the defense claim absolved the Grillo sisters of their alleged crime. "At the time of sending that email I was completely astounded by the alleged scale of drug use set out in the statement,” he said. "Nevertheless, I did believe the allegations and that's what I'm referring to in the email… On reflection I was simply speculating that the sisters would use this information to defend themselves. I know there was nothing in the statement to suggest they were given permission to use the cards."